As some of you may already know, on Wednesday 30th May Rob’s first ever monograph, I Thought About It In My Head And I Felt It In My Heart But I Made It With My Hands was released with Rizzoli. Rizzoli Bookstore first opened its doors in 1964 on Fifth Avenue in New York. The publishing house was established a decade later and is known today for printing high-quality illustrated books. The company still maintains its original bookstore which is widely considered to be one of the leading independent booksellers in America specializing in literature, interior design, cookery, photography, architecture and applied arts. Rob has worked with Rizzoli for many years, producing multiple calendars together (see more information here and here) as well as a series of prints back in 2012, so we were delighted to be working with them again to produce the book. The book is comprised of work from the past 30 years of Rob’s career as well as accompanying interviews and text written specifically for the book, which explores the themes present throughout Rob’s artistic practice. 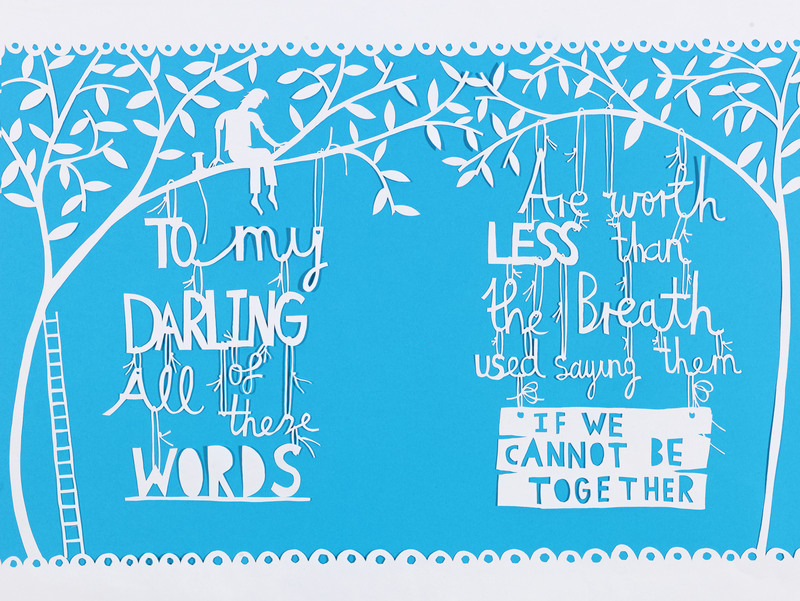 Over the past year Rob has been very busy drawing, paper cutting and playing with the design of the book. 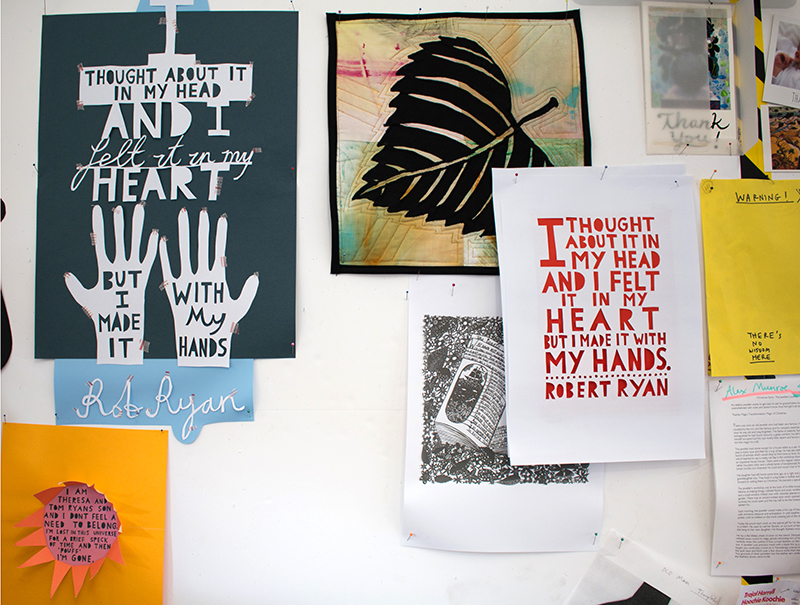 The studio has been full of mock-ups, papercuts and passages of text stuck up on the walls for months. Rob started by picking out key images from the past 30 years – as you can imagine, there were lots. These images were then sorted into groups that formed the main sections of the book. Alongside older pieces Rob was working to create lots of new images for the book, and even re-cut some original paper cuts. Once we had the images laid out Rob got to work writing. He discusses his creative process and explores the ideas and meaning behind some of the works. 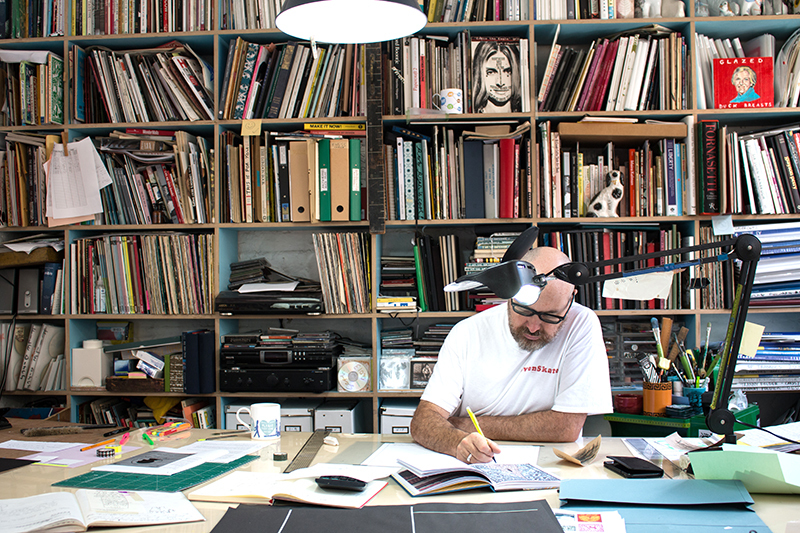 The book also includes a selection of interviews and an exclusive peek at some of the pages inside Rob’s rarely seen sketchbooks. 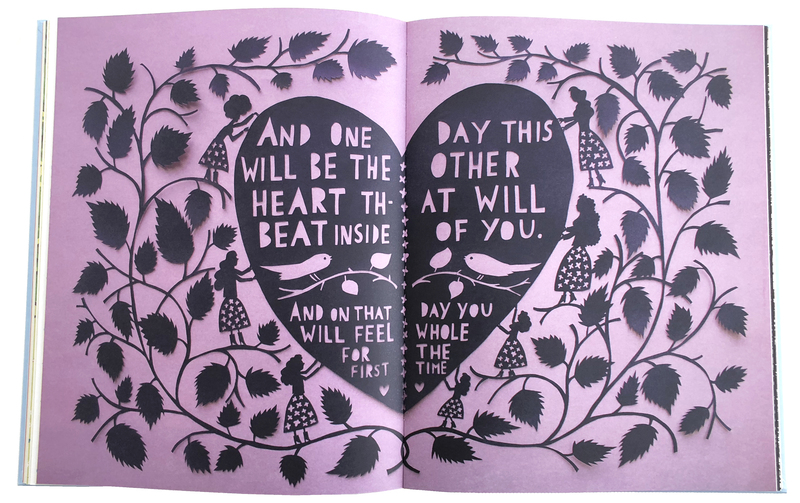 The book cover itself was intricately papercut by hand, see above for examples of mock up designs that were worked through before deciding on the final image. I Thought About It In My Head And I Felt It In My Heart But I Made It With My Hands is split into 8 sections, including a foreword written by Jeb Joy Nichols. 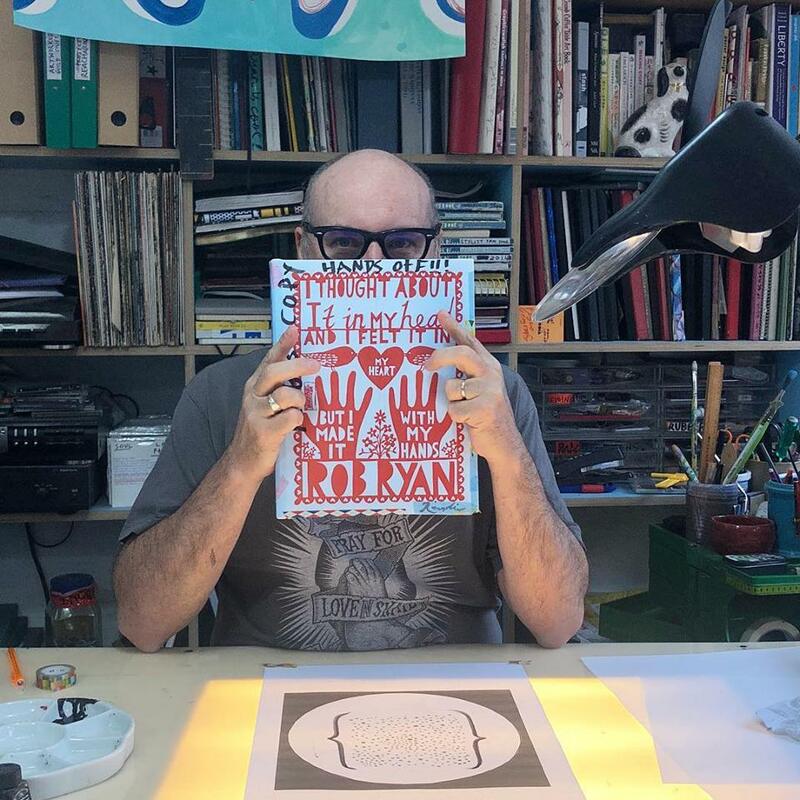 The book takes you through the art of papercutting, with Rob explaining his development through drawing, painting, printmaking and papercutting; acknowledging that paper has always been the one constant thing throughout his practice. The reader is given an exclusive peek at Rob’s thought process behind the creation of some of his most well known works; for example he explains that Can We? Shall We? was made to encapsulate the thrill of going to the seaside. 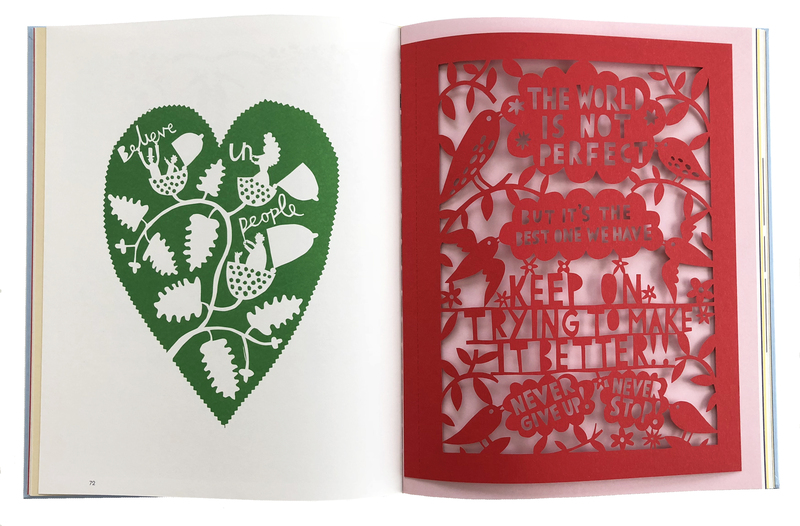 The book also includes a pull-out laser cut entitled ‘The World Is Not Perfect’, a design adapted from Rob’s Vote Labour poster from last June. 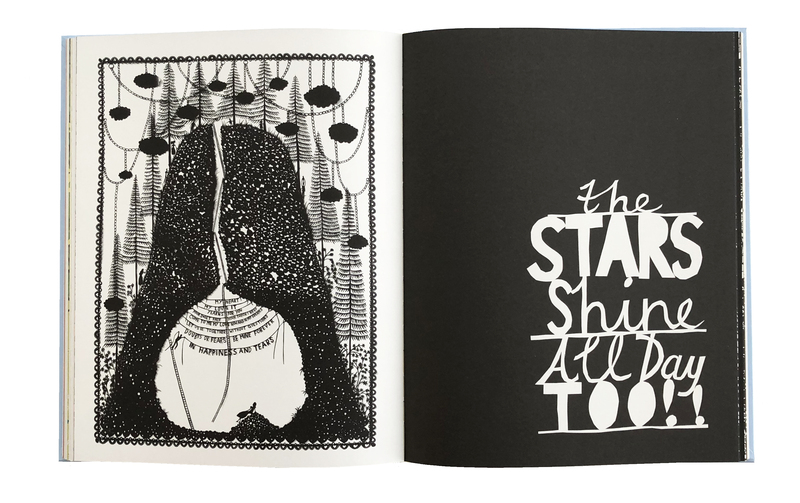 We are so excited to finally share some images of the inside of the book with you. We are so excited that the book is finally available to buy here. Please feel free to tag us @robryanstudio (instagram) and @robryanart (facebook) in any pictures, we love to see you enjoying the book.